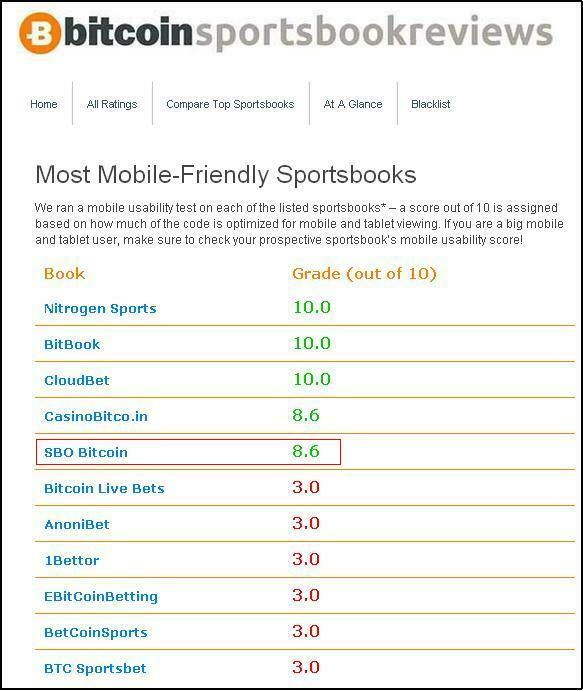 Sbo Bitcoin Rated as A and 8.6 by various sports book reviewers | SBOBitcoin| Value Your Bitcoin with Asian Handicap! 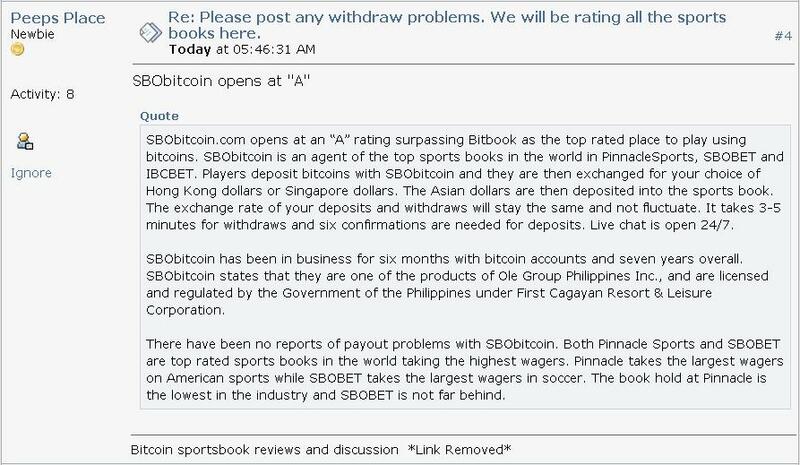 Running for just 6 months in bitcoin business, we can say that Sbo bitcoin is still searching and looking for unique and favorable strategies that can capture the bitcoin gambling market. As others can say, everyday is a learning process. And it is indeed a mere fact. Even businesses are travelling the path of the everyday seeking for new ideas, unique strategies and most especially satisfying the unending wants of our beloved customers. 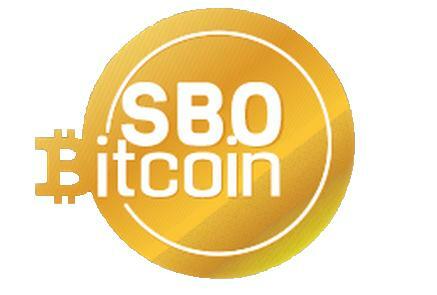 Sbo bitcoin is the foremost bitcoin gambling site in Asia which offers the customer to deposit bitcoin and credit it using Hong Kong Dollar or Singapore Dollar in the world’s renowned market leader like Pinnacle Sports, Sbobet and Ibcbet. Being the first in this idea has a twin risk in everything. 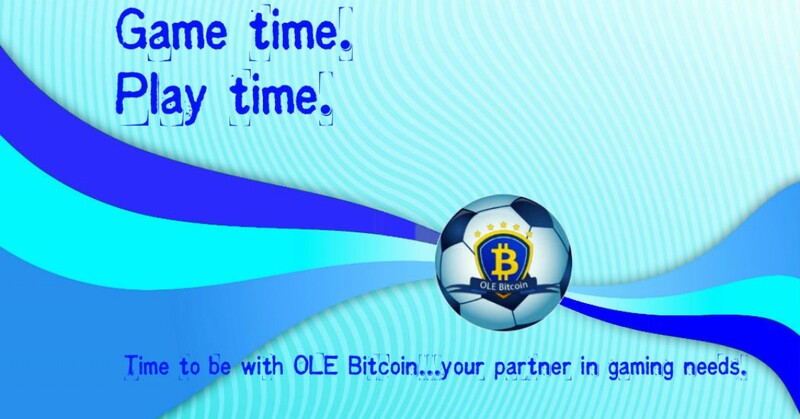 Sbo Bitcoin is one of the subsidiaries of Ole Group Philippines Inc. licensed and regulated in the Philippines by First Cagayan Leisure and Resort Corporation. Ole Group International Ltd. has been in the business for almost seven years. That’s why we value our name in the business and credibility by giving our clients the best service they deserve to have. 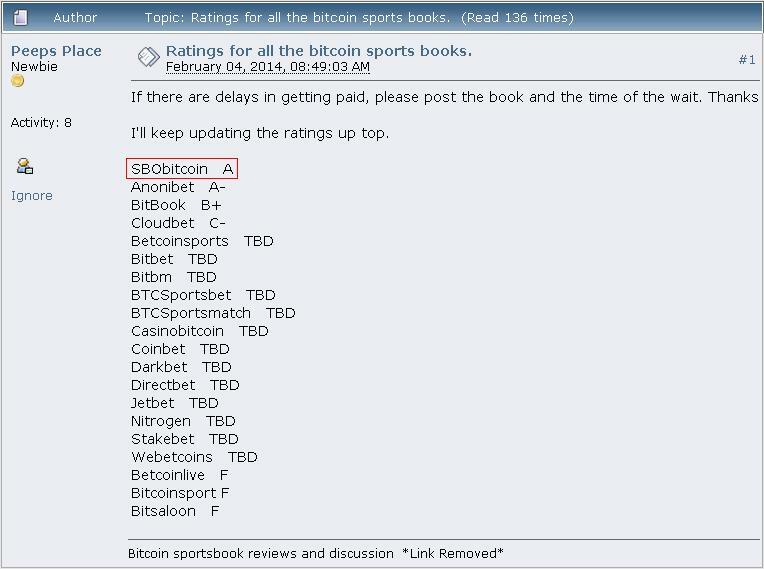 Recent sports book reviewers gave their insights and rating to several Sports book existing in the web. Here are some. Sbo bitcoin and Bitcoin have a long way to travel. As for now, enjoy and take advantage having one of it.